“Republicans in the State Senate are unified in committing to a 20% pay raise for our outstanding teachers. We also recognize the need for continuing to build on the education funding increases of recent years for support staff, school improvements and technology. We have been hard at work with House leadership and the Governor in finalizing a state budget that includes these priorities. We stand with our teachers and have a plan to bring them the raise they deserve. It is unfortunate that many teachers are apparently preparing to strike, walking out on the students and forcing schools to close their doors. The children are the real victims of a strike. The Legislature and the Governor agree that teachers need better pay and spending for K-12 should continue to increase. We hear teachers’ frustration and are fighting for them; we have a plan that will bring them the raise they deserve. We also understand that a strike is going to put pressure on Arizona parents and students. A 20% pay raise in 24 months, including 10% this fall. Full $100 million in additional assistance for districts to pay support staff, school improvements, textbooks and technology. 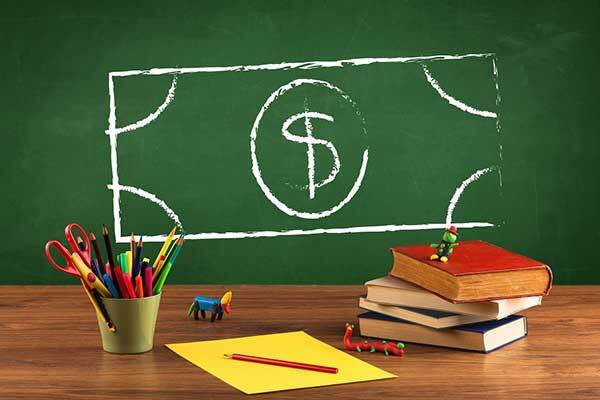 Today the average teacher salary is approximately $48,300. Boosting teacher salaries 20% would bring that to $58,100, roughly equal to the national average. Since 2015, Arizona has added $1.7 billion in new dollars to K-12 education. Since 2013, state-only funding for K-12 has increased 30%. Average salaries for teachers has increased by 4.3% from 2016 to 2017. Proposition 123, passed in 2016, is adding $3.5 billion into public schools over ten years. Per-pupil funding has increased 10% since 2015. A continuation of the .06 cent tax was finalized this session, committing $667 million in yearly education funding. No one wants to see teachers go on strike. It disrupts lives, with parents having to consider child care and meal planning. When schools shut down, our children are the ones who suffer. The Governor and Legislature are close to an agreement on the 20% pay raise teachers demanded. Unfortunately, teacher activists are now adding unreasonable demands. Let’s focus on getting the raise teachers have asked for and deserve.